Natalie Dill Archives - Pebbles, Inc.
Hi friends! I am Natalie Dill and I’m THRILLED to be guest designing for Pebbles today! 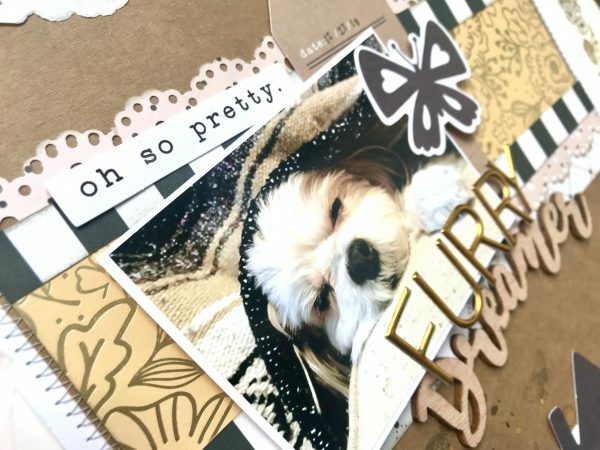 I used the lovely new collection from Jen Hadfield called Along the Way to create this 8.5×11 layout about my sweet puppy girl. The base kraft paper is actually from the Pebbles Cozy & Bright 12×12 paper pad. I sewed it to a white background paper using a zig zag border stitch. 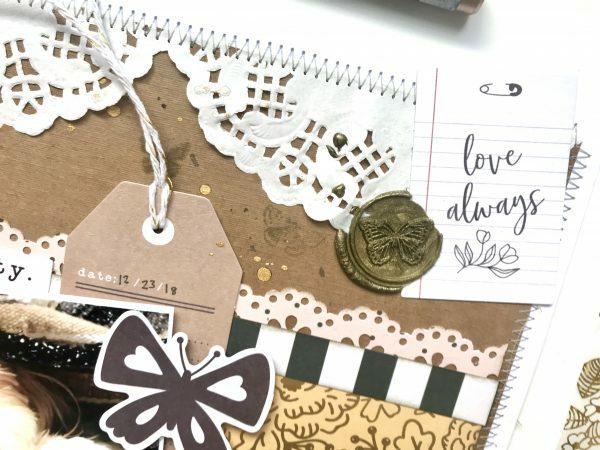 The 6×8 Along the Way patterned paper pad is perfection when creating an 8.5×11 layout! Cutting lengths of the patterned paper down the 8 inch side in different widths built my middle layer strip. 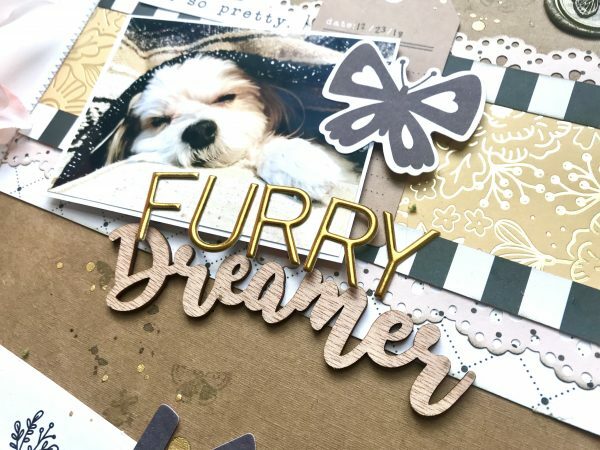 I used a lacy paper punch for the border strip on that yummy pink piece, and I popped up my photo with some adhesive foam for added dimension. I picked some of my favorite ephemera pieces from the icon and phrases packs to embellish, and I chose pieces with black on each to tie them together from top to bottom. I love allowing a bit of the die cut to come off the page. It will stick out the protector a bit, but adds great interest! I used some gold and black sprays for splatter and a gold wax seal for mixed media embellishing. I loved using this soft, homey collection to document my dog in her napping element. 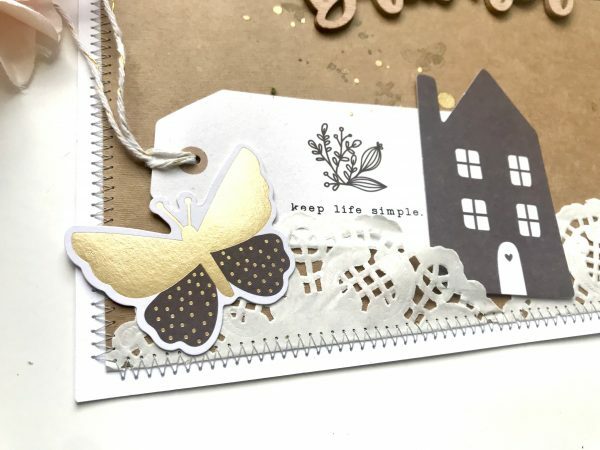 The sentiments are great for documenting your home life and cozy moments! Thanks for having me, Pebbles!